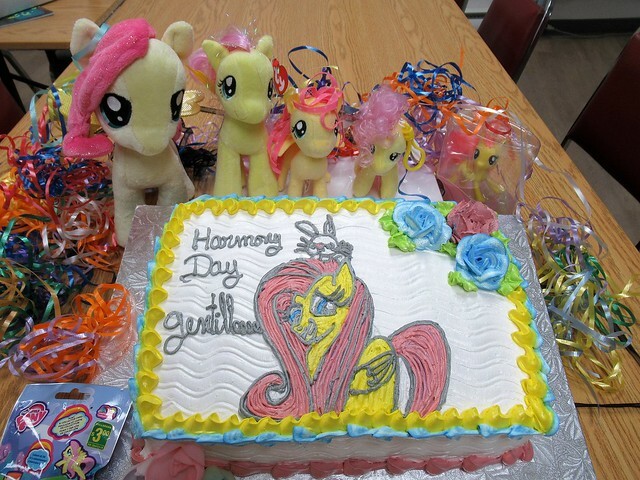 I had a cake made and I had a few Fluttershy plushes squirreled away, so the Harmony Day thing was go! I found out that at this grocer, not only were they willing to do the drawing by hand, but I could choose a flavored filling. I went with cherry. 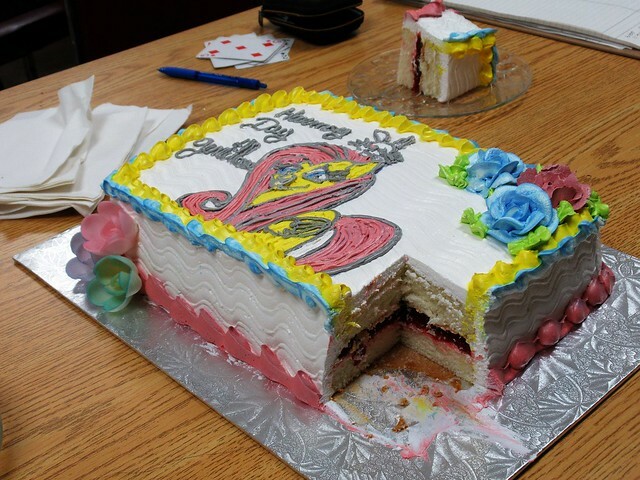 It was still a quite expensive vanilla cake.